On November 15, 1941 a new kind of specialized U.S. Army unit, the 1st Battalion of the 87th Mountain Infantry, was activated at Fort Lewis, Washington. Within the next few years two more mountain infantry regiments would be combined into the legendary 10th Mountain Division. 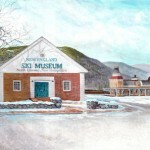 In recognition of the activation of the 87th seventy five years ago, the New England Ski Museum presents a new exhibition that focuses on the profound influence that 10th Mountain veterans had on the direction that skiing and outdoor recreation would take in postwar America. The exhibition, The Mountain Troops and Mountain Culture in Postwar America, can be seen at the Museum in Franconia Notch State Park through mid-April 2017. The War Department engaged the National Ski Patrol to fill the ranks of the new mountain troops, and this unique recruiting method brought together thousands of like-minded men oriented to a life in the outdoors. Three intensive winters of experimentation with military mountain doctrine and high altitude training, two of them at Camp Hale, Colorado, hardened 10th Mountain Division soldiers to an elite level of fitness and skill in mountain operations. When the 10th entered combat in the Apennine mountains of Italy in January 1945, they distinguished themselves in a series of brutal battles in the waning days of World War II. After the war, many of its veterans drew upon the skills that had gotten them into the mountain unit, and turned them into modes of living, and of earning a living, in the mountain environment. Some of their efforts resulted in thriving educational and business in the outdoor recreation field that would boom in the 1950s and thereafter, and a selection of these veterans and their contributions are profiled in the exhibit. Montgomery Meigs Atwater, known by all as Monty, founded the field of avalanche science in this country, then trained a small network of collaborators and established a Forest Service seminar that dispersed the findings widely throughout the west. It is given to only a few to invent a field of endeavor that confers wide benefits to a segment of the population. Monty Atwater and his virtual creation of the process of American avalanche study and mitigation was one who achieved this prominence. 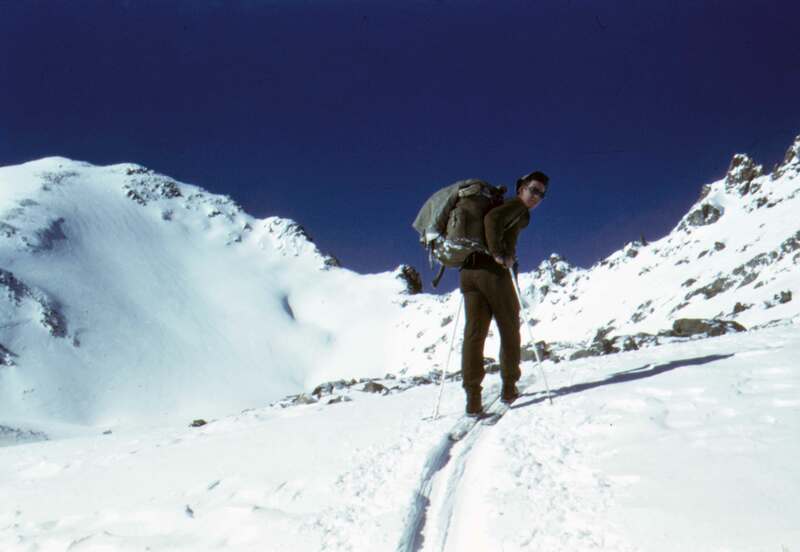 In 1945 Gerry Cunningham began producing and selling outdoor gear, beginning with teardrop climbing packs and updated, lighter versions of the rucksacks and packboards that he had used in the 10th. Gerry Mountain Equipment’s unique products ranged from lightweight tents that were tested on Himalayan expeditions, the knee-length, down-filled Gerry Slope Coat that was ubiquitous on ski slopes in the 1960s and 1970s, the backpack Kiddie Pack, and the humble but still-pervasive cord-lock that Cunningham invented and patented. Paul Petzoldt came to the 10th with a reputation as one of the foremost mountaineers in the country, having climbed to 26,000 feet on the 1938 K2 expedition, as high as any American had then ascended. 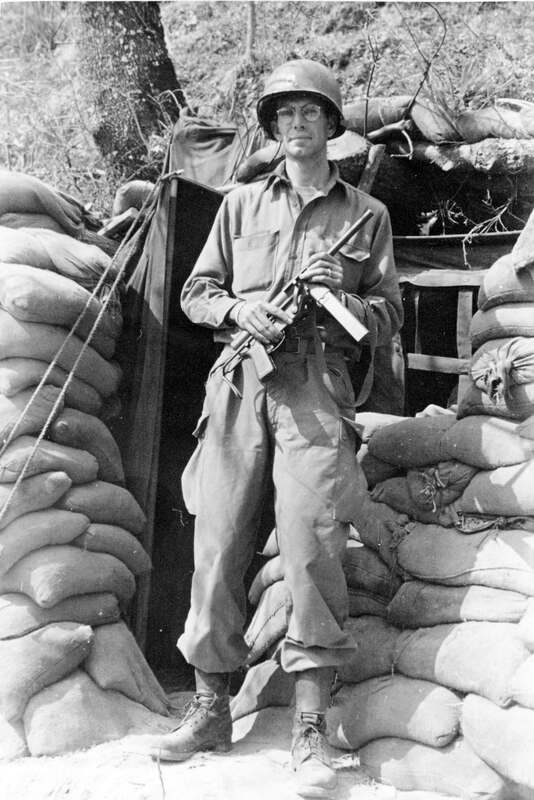 A medic in the 10th, Petzoldt was tasked with developing methods of high angle evacuation of casualties. 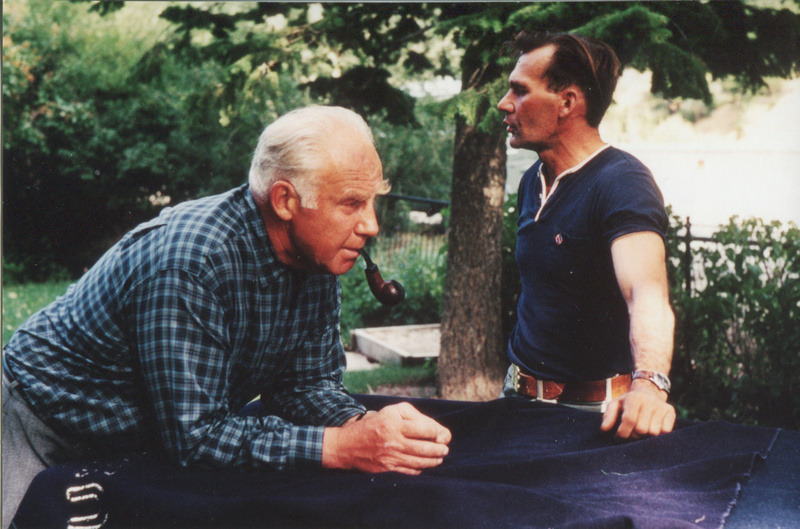 In 1965, Petzoldt established the National Outdoor Leadership School in Lander, Wyoming, and brought fellow 10th veteran Ernest “Tap” Tapley with him. Using the Wind River Range as their classroom, Petzoldt, Tapley and a corps of instructors combined outdoor education and environmental awareness with month-long wilderness treks and mountaineering ascents. The school, now with over 250,000 graduates, continues to expand on the precepts of its founder. Passing over the chance to get in on the ground floor of the postwar ski development at Aspen, former battalion sergeant major John Rand settled into a long career as director of the Dartmouth Outing Club. He was involved with all aspects of the DOC, including many that involved the college’s ski programs. At a time when search and rescue in New Hampshire was not so formally organized as it is at present, Rand and the outing club provided much-needed manpower and oversight for large incidents. Over his four decades with the DOC, Rand influenced generations of Dartmouth students as they learned outdoor skills that for many became lifelong pastimes. Explorer, mountaineer, television broadcast pioneer, mountain rescue authority, author and American Alpine Club Honorary President, former Lieutenant William L. Putnam was larger than life. Putnam was chairman of the Appalachian Mountain Club’s Mountain Leadership Committee in 1958, when it organized outdoor leadership workshops leading to certificates for those who led summer camp and other groups in the White Mountains. This effort was seen as generally very successful, and disseminated mountain sense to a good number of youth leaders. In this way, lessons in mountain living learned in the harsh winters of 1943 and 1944 at Camp Hale were not forgotten, but passed on to future generations of highland travelers. Skiing and ski area development would also prove to be a fertile field for 10th veterans searching for a way to make a living in the mountains. 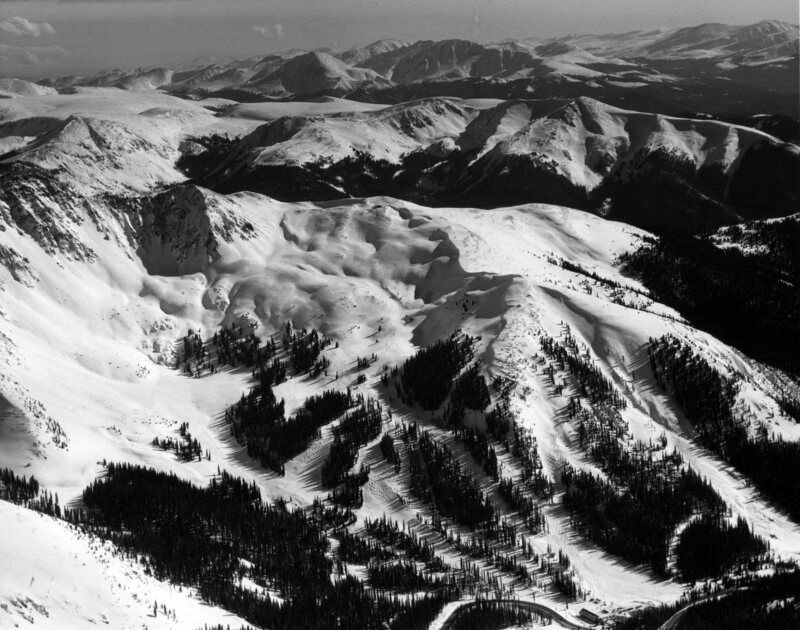 Colorado was the first state to see the influence of returning 10th soldiers, not surprising given that thousands had been exposed to the alpine allure of the high Rocky Mountains at Camp Hale. Aspen, Arapahoe Basin, Vail, and Beaver Creek all had veterans among the founding fathers, as did Mount Bachelor in Oregon and Crystal Mountain, Washington. Former mountain troopers were important in hundreds more ski-based activities that were not in the limelight. For decades after their self-selected military service in the alpine world, veterans of the 10th shaped how America skied.